Join Movement Educator Tara Eden for a weekend of movement & fun. We will be exploring Awareness Through Movement® lessons as tools for improving mobility and ease in the body and releasing tension and stress that shows up as pain in these areas. Movement Educator Tara Eden is in Singapore to share the importance and far-reaching benefits of movement. 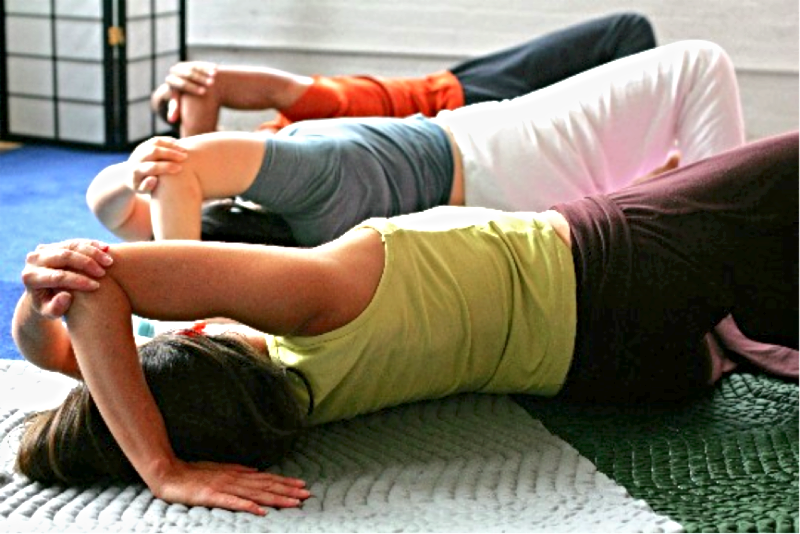 She will use The Feldenkrais Method®, a neuromuscular re-education system and profound approach to cultivating awareness, promoting self-study, and evoking positive change, and use Awareness Through Movement® lessons as tools for improving mobility and ease in the body and releasing tension and stress that shows up as pain in these areas. Through movement that raises inner awareness, we can deepen our understanding of how to free ourselves from our own habits, compulsions, and patterns that limit us. The idea of embodying is extremely important in terms of welcoming a different way of being and that way of being is separate from the restrictions or limitations of our busy minds and multiple stresses and distractions. Tara is offering private sessions to work more closely with those wishing to release pain patterns and enjoy the freedom of mind and body through greater mobility. Based in Chiang Mai, Tara Eden teaches movement with self-awareness and incorporates the philosophy of “movement as medicine” into her work including Somatic Yoga. Tara is an international Somatic Movement Educator, Senior Yoga Teacher, Therapeutic Bodyworker, and founder of Somatic Movement Project. Tara brings her deep technical knowledge and makes the work accessible, fun, and effective. She will be offering Somatic Yoga, Awareness Through Movement, and private sessions for insight and personal attention on methods of finding ease in the body and mind.